The first prototype Whitley I, K4586. It later became a ground instructional aircraft serialled 7070M. K7191, the ninth production Whitley I. Note the absence of dihedral on the outer wing panels. The sixth production Whitley 2, K7222, here seen before installation of gun turrets. 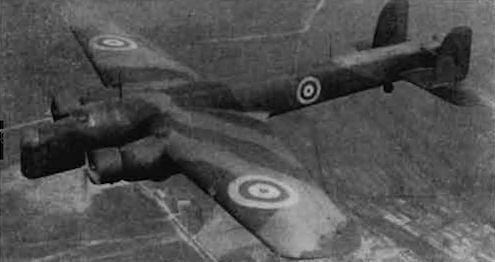 Fitted with Merlin 4s, K7209 was one of three Whitley Is converted to prototype Mk. 4s.